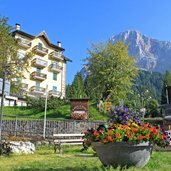 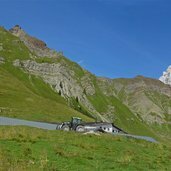 At the bottom of the well-known Pale di San Martino mountain group, at about 1,450 m a.s.l., one of the probably most famous holiday resorts of the Dolomites is located. 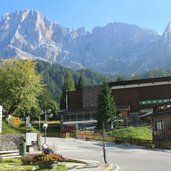 Live webcam View towards the well-known Pale di San Martino mountain group. 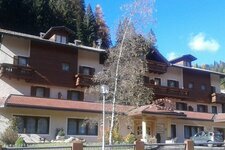 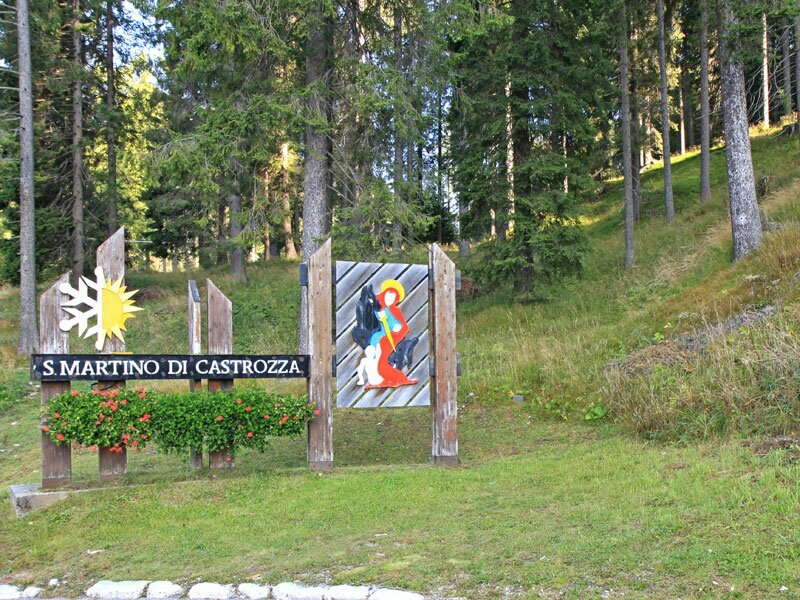 Welcome to San Martino di Castrozza! 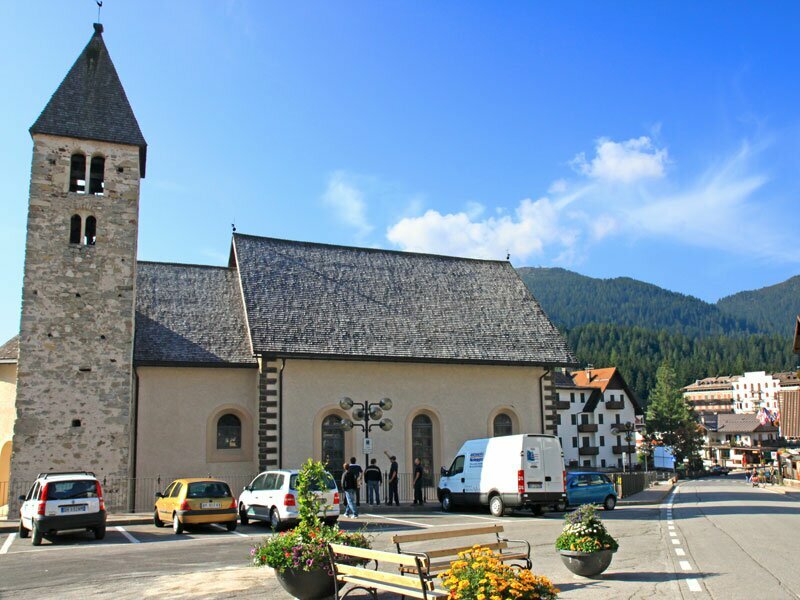 The San Martino church in Romanic style. 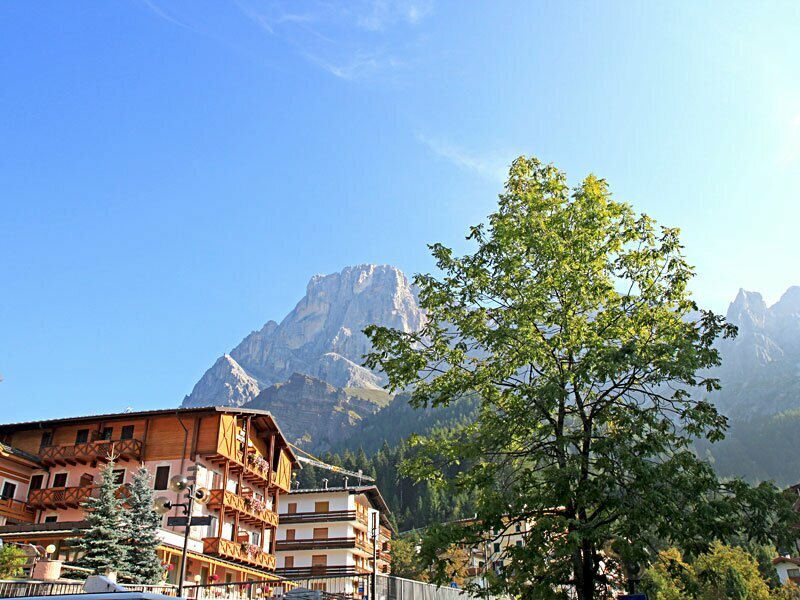 View from the village to the Pale di San Martino mountain group. 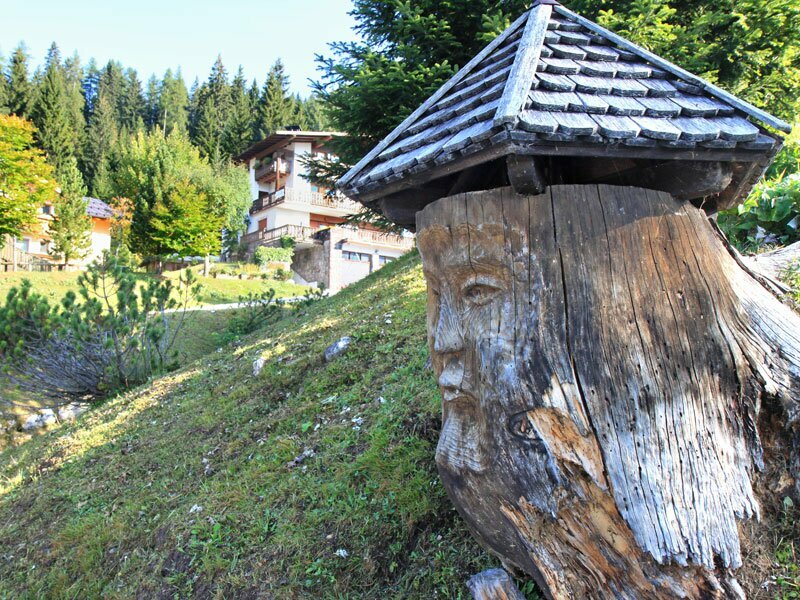 Wooden artwork in the surroundings of San Martino. 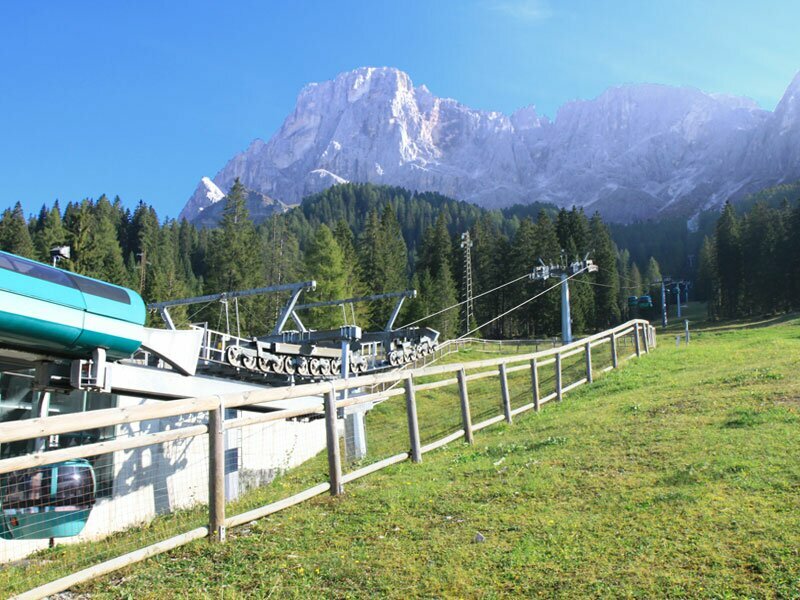 The San Martino di Castrozza lift facilities. 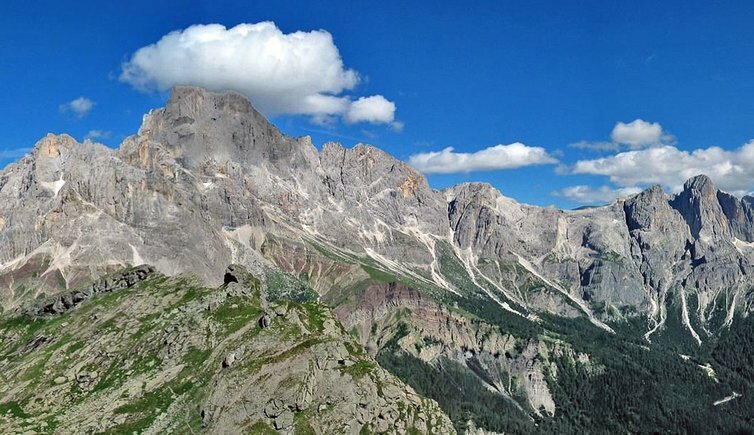 The Cimon della Pala peak is the symbol of the village und is protected by the UNESCO natural heritage list. 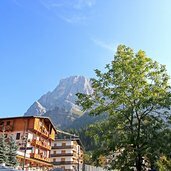 San Martino and the Pale di San Martino mountain group. 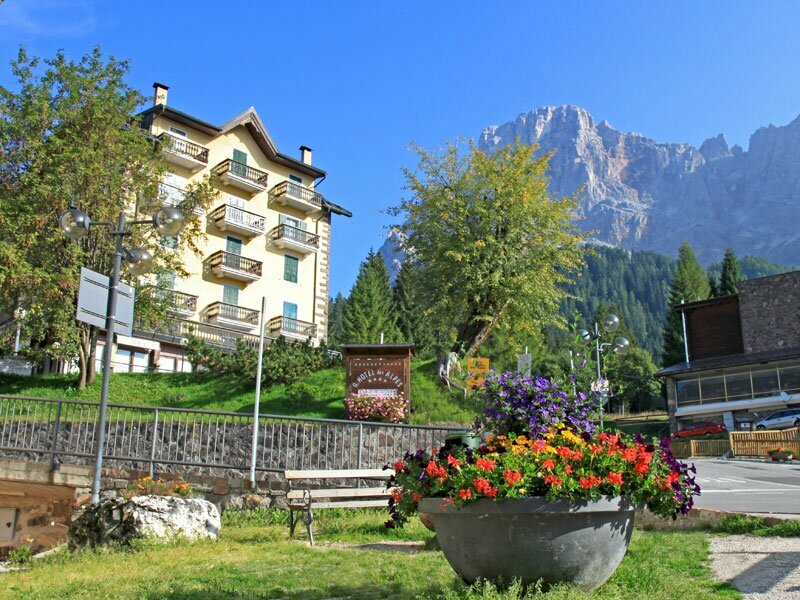 Well-frequented by alpinists, San Martino di Castrozza has already been a popular holiday destination in the 19th century. 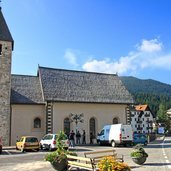 This village was particularly popular with artists and aristocrats, who got their inspiration from the village and environs. 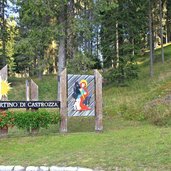 The origins of San Martino di Castrozza go back to a religious institution, which was the hospice of S. Martino and Giuliano, which accommodated travellers on their way from the Valle di Primiero valley via the Passo Rolle to the Val di Fiemme valley. 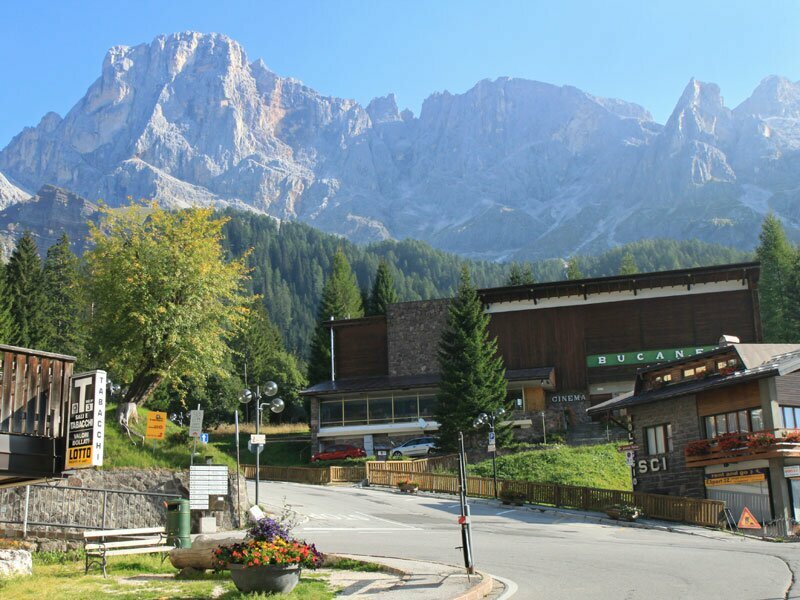 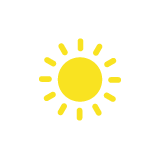 San Martino is located in a green basin, surrounded by the Paneveggio-Pale di San Martino Nature Park. 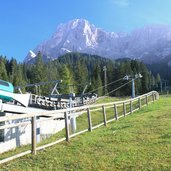 A great view is waiting for you, showing you the mighty mountain peaks Cimon della Pala, Vezzana, Rosetta, Sass Maor, Val di Roida, Madonna and Colbricon. 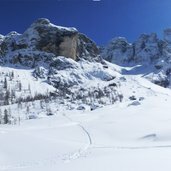 In colder winter months, San Martino di Castrozza, which by the way is part of the ski carousel Dolomiti Superski, transforms into a winter sports paradise. 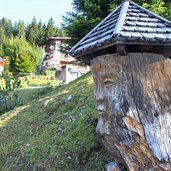 And also cross-country skiers feel at ease, as there are 30 km of trails and two cross-country ski centres, snaking across the nature park.